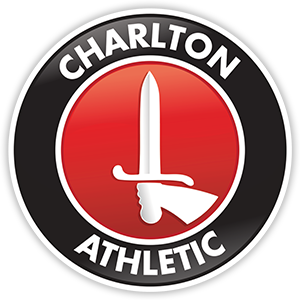 It was a busy weekend for us all at Charlton Live, before the game we had a few interviews to record in our new studio, first in through the door was former youth coach Colin Clarke, who worked at the club from 1986 to 1991, Colin oversaw the signings and development of several players during his time, including Scott Minto, Gordon Watson, Mickey Bennett, one of his last signings was a young Scott Parker. Colin was fascinating to talk to and we will be broadcasting the interview sometime in the new year. Sadly our last remaining player from the 1947 FA Cup Final passed away, his sons David and Paul came into the studio to talk about their late father, the interview went very well, once the recording was over the brothers began to show us all sorts of memorobilia they had discovered, just as they were about to leave David Croker asked us if we wanted to see the medal, probably the daftest question I have ever been asked, out of his pocket came a battered little box, when opened it revealed a small gold medal, David then handed it to me and told me I could take it out of the box and take a good look, now at this point I should tell you I am more than used to handling artefacts of value, I used to look after all of Lord Nelson’s uniforms and have held the bullet that killed him, this paled into insignificance when holding this medal, Charlton Athletics finest moment was that 1947 FA Cup win, and to hold something so exceptional was one of those moments when the hair on the back of your neck stands up, truly amazing. Our final visitor to the studio Saturday was Mark Clemmit from The Football League Show, and what great value he was, earlier in the day he had interviewed various Charlton fans and had stopped a vicar from Bury St Edmunds, he asked the Charlton supporting vicar if he got down on his knees and ever prayed for Charlton, his reply will go down as one of the greatest replies in a vox pop ever, his exact words were ‘only last night I got down and knocked one out in the lady chapel’, the interview with Mark was broadcast last night and will be up on CAFC Player later this week and itunes a little later. Next Sunday is Christmas Day of course, so there will be no live show, instead over the festive period we will release a one hour highlights show, featuring Chris Powell, Michael Slater, Steve Brown, Dean Kiely, Matt Holland and many others. It has been an amazing year at Charlton Live, the team continue to work hard to bring you the shows, and we need to say a big thank you to Matt Wright and Gary Haines at the Club for their continued assistance, to Dan Bream for his webhelp, Bob Lawrence for the loan of equipment, and to Bernard Wickham who arranges a lot of our interviews with former players. Previous Post The Tide Is High!